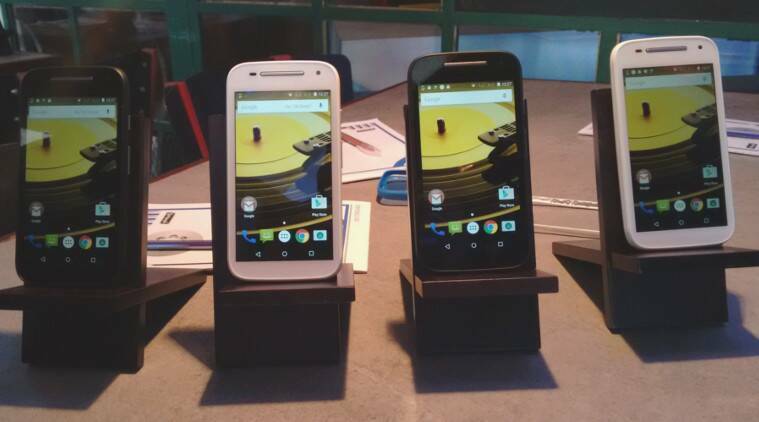 Motorola Moto E (2nd Gen) runs on a 1.2GHz quad-core Qualcomm Snapdragon 200 CPU with 1GB RAM. Meanwhile, Motorola will also continue with its earlier Moto E smartphone which will now sell at Rs 5,999 on Flipkart. The new Moto E smartphone sports a 4.5-inch display with a resolution of 540 x 960 pixels with Corning Gorilla Glass 3 protection. Running Android 5.0.2 Lollipop OS, it runs on a 1.2GHz quad-core Qualcomm Snapdragon 200 CPU with 1GB RAM and 8GB internal storage which can be expanded up to 32GB. It is powered by a bigger 2,390 mAh battery. As Motorola is now a Lenovo company, smartphone enthusiasts in India complained that the new Moto E smartphone is underpowered ( in terms of specs) when compared to Lenovo’s bugdet 4G smartphone- A6000, which is also priced at Rs 6,999 on Flipkart. However, Boni denied this. “The specification sheet really doesn’t matter. It is the overall experience which counts. The question of ‘underpowering’ the Moto E (2nd gen) doesn’t arise as both brands are completely seperate from each other. Also, the new Moto E offers the latest Android operating system in its purest form (no bloatwares) along with good software features from Motorola. We take user experience very seriously and have strictly avoided bloatwares worth millions of dollars and offer good after sales support,” said Boni.